Chicane is the group name for British trance musician and remixer Nick Bracegirdle, who first attracted attention under the name Disco Citizens with the Top 40 U.K. hit ”Right Here Right Now” in 1995. 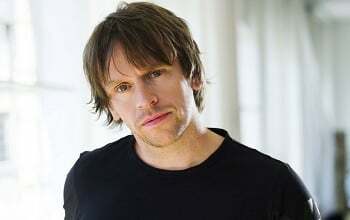 Changing to Chicane, he reached the British Top 20 in late 1996 with ”Offshore.” He then enlisted Clannad’s Maire Brennan for a remake of the Clannad hit ”The Theme from Harry’s Game” under the title ”Saltwater,” which reached the U.K. Top Ten and became an international hit. The first Chicane album, Far from the Maddening Crowds, was released in 1997. As a remixer, Bracegirdle transformed Bryan Adams’ ”Cloud #9” for another major hit in most Western countries. Employing Adams as an uncredited vocalist, he then topped the British charts with ”Don’t Give Up.” It was featured on the second Chicane album, Behind the Sun, released in Europe in the spring of 2000. This disc reached the Top Ten in Britain and charted across Europe and in the Far East. Behind the Sun was released in the U.S. in August 2000 and Visions of Ibiza appeared the next summer.